Inbound marketing can provide a warm call environment for reaching out to the prospect. I’m reading a lot these days about the disconnect between marketing and sales. The story goes something like this: Marketing generates leads and hands them over to sales. Sales says the leads are worthless because the prospect has not been qualified as to purchasing intent and does not have an immediate need. What does the best prospect look like? What are the critical business issues the prospect is facing? How does the product or service offering provide the best solution? How do you determine the prospect’s interest in the solution offering? What milestones should marketing achieve before turning the information over to sales? Gaining productivity forms inbound marketing. The primus of inbound marketing is to identify interested prospects and educate them about the brand’s product or service offering. Consistency of engagement and messaging helps to build trust for the brand leading to preference for the brand’s solution when the critical business issue arises. Inbound marketing was never intended to carry the entire marketing load, or substitute for sales-building personal relationships. Used correctly, inbound marketing can gain an inside advantage, change the parameters of an RFP, and substantially shorten the decision making process. Where inbound marketing shines is in creating an environment where prospects are familiar with your brand and the story behind your product or service offering. Digital analytics – structured and semi-structured data – can provide a representative visual picture of prospects that have interacted with your inbound marketing. 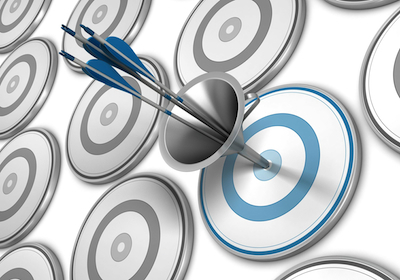 By assigning values to data points, a lead scoring system can be developed furthering defining the prospects interest. For example, if the prospect opens an email newsletter three out of five times, you could assign a high value due to the frequency of opens. Conversely, if the prospect only opened the email newsletter one time in five mailings, a low value would be assigned. Creating this picture over an extended time frame provides a detailed image of the prospect, their interest in the offering, and the groups that they interact with. All of this information provides a warm call environment for reaching out to the prospect. 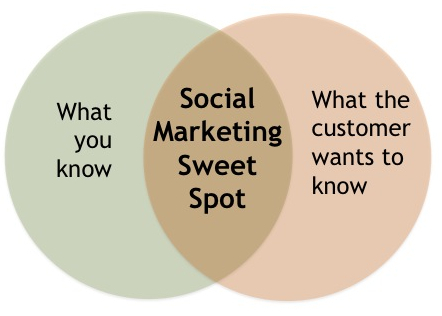 The inbound marketing activity is the first step in people-to-people marketing – engagement. This step helps in qualifying the prospect’s interest and allows sales to determine if the prospect meets the criteria for additional follow up. “Big Data” is a misleading term. It’s not a technology, but rather involves using data to gain insight. Big Data helps you visualize structured, semi-structured, and unstructured data. This visualization of combined data provides a multi-dimensional view of the ecosystem your product or service resides in. Structured data, also known as Business Intelligence (BI), is transactional data. Examples include addresses, SIC codes, point-of- sale data, customer resource management data, phone numbers, emails, loyalty card use, and energy consumption data. Data of this nature can be accessed and viewed in Excel spreadsheets. Semi-structured data consists of web server click stream data, such ad web logs, IP addresses, page visits, time on page, cookie tracking, geo-usage patterns, customer behavior while on site, and the development of user profiles. The primary characteristic of this type of data is that it does not lend itself to display in rows, columns, or text. Unstructured data is the content of documents, natural language, Tweets, Likes, comments, blogs, phone calls, emails, audio files, and images. These are the elements of human communication recognized as content but completely foreign to machine language. This was once the domain of a “gut feel.” Now when combining the three aforementioned data types, a panoramic view can be created of the acceptance and use of the product or service. All of this data crunching provides a granular to global view of the acceptance of your product or service offering. It is in this context that better business decisions can be made with regards to where to geographically expand, identify the most desirable product features and attributes, and which marketing efforts are delivering the anticipated results. Big Data, when represented properly, can complement a creative brief by acting as a wall of information that can be prioritized, moved, and reconfigured for actionable items and measured for results. Don’t be a slave to the data; rather, use it as a tool to sharpen the creative solution, extend the brand engagement, and think beyond the current place in time that the visualization represents. In addition, be aware that small brands may find the results disappointing because of an insufficient amount of semi-structured and unstructured data that is available. Social media, love it or leave it, is hard to get away from. What started as digital networks where like-minded users could connect and share information has grown into a multi-billion dollar network catering to sophisticated brand advertising and user generated content. B-to-B brands seeking to use social media for engagement need to understand the strengths and limitations of their selected social platform. Where Facebook is perceived as a more B-to-C retail platform, there are numerous examples where B-to-B brands have used the platform to connect with rural outlying communities where their facilities are located. Each platform has its own particular tone and style. Understanding this allows for social media content to be developed to show a more human side of the brand or a more technical competency based on the objectives of the social media effort. Achieving any of the above identifies content that is conceptually sound, produced with a purpose, and deemed valuable by its intended audience. Content that lacks strategic direction is hastily cobbled together, short on authenticity, and not tied to a specific objective is probably a waste of time and resources. Key take away: Having a platform presence without a strategy is not sustainable and will quickly lead to abandonment. Social media content, when used as an integrated marketing tool, can extend the reach of advertising. This complementary function is much like the support of public relations. Done correctly, social media content can capture an influencer’s attention, leading to additional content generated with the appearance of endorsement. Key take away: Social media content is a complementary tool not intended to carry the entire marketing load. How much social media content is needed to be effective? The internet is a content eating machine. In order to stand out in the sea of sponsored display advertising and user generated content, advertisers should be prepared for a long term commitment to social media content development and treat it with an evergreen journalistic approach. Key take away: The best strategy is to develop a library of content that has a long shelf life. The one thing social media can’t do is provide sustainable scale. By its very nature, it is fragmented – subject to the reader’s value system and point of view. Accuracy of regenerated content cannot be guaranteed and may do more harm than good. The use of social media by B-to-B brands is accelerating. Taking a strategic approach to integrating social media into the marketing mix requires creativity and a willingness to try something different. As your brand in perceived so is your company. In the aviation industry, brands fall into three categories – innovators, challengers and laggards. Innovative brands take calculated risk; they think big, invest smartly and understand the power of marketing. Challenger brands are smart and agile they rely on new technology and materials to disrupt traditional business models. Laggards, well are laggards. Laggard brands practice “Random Acts of Marketing” a term my colleague Paula Willliams uses to describe marketing tactics without strategy. Where does your brand stand in the food chain? At a recent tradeshow I attended all three types of brands were present. The aviation industry for all of its engineering innovation is really a marketing challenged bunch. “All of our business comes from the MRO’s we can’t make any headway with the OEM’s. Statements like this lead me to the conclusion that a lot companies serving the aviation industry treat branding as an after thought. 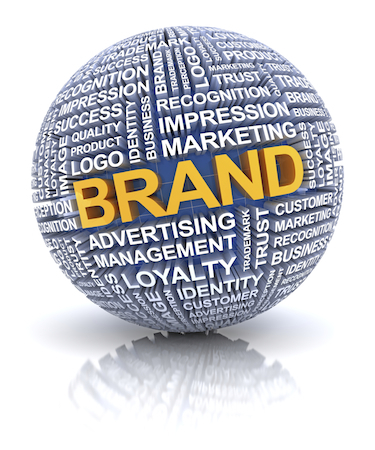 Most will agree that establishing a brand is important. However, evidence points to a lack of understanding of how to keep the brand vibrant and relative in the age of digital inbound marketing strategy and tactics. Relying on what they are comfortable with the companies plug along doing the same thing and getting the same results while all the time becoming more frustrated with their place in the food chain. To move up the food chain and command a higher price for products and services rendered requires knowing what the customer considers important. Most aviation components and systems have to meet an engineering specification. Therefore the value-add becomes what does your brand provide that the competition doesn’t? Identifying the differentiating factors and incorporating them into the brand story defines the brand promise. The brand promise is what helps create the emotional connection to the brand. Customers that select the brand have a sense of familiarity, providing them with peace-of-mind. The emotional connection also extends the reach of the brand. Knowing what the customer’s expectations are provides content for brand engagement through social marketing and owned media channels. Additional article on this topic you may find of interest. 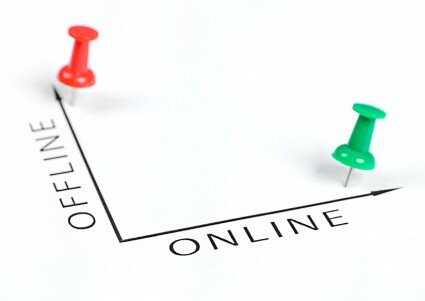 The connected customer gathers information from a multitude of online sources before coming to the final purchasing decision. The connected customer spends more time on social media than with watching television, listening to radio, or reading a newspaper. 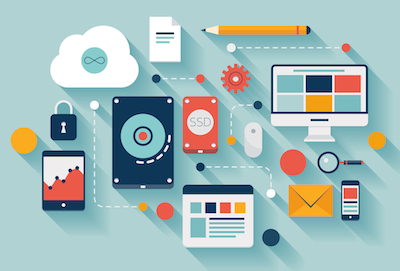 Cloud-connected smart phones, tablets, and laptops are the predominant tools of the connected customer. They absorb information from many different sources and share their experiences with followers on social networks. Aviation manufacturers that do not shift their marketing tactics are endangering their brand and flirting with obsolescence. Traditional advertising is great for building brand awareness. However, it cannot create the conduit for immediate engagement or offer additional content at the click of a mouse or tap of the screen. The connected customer wants the option of a two-way conversation. A strategic approach to integrating online media with traditional print media placement offers the manufacturer the opportunity for extending the engagement during a prolonged sales cycle. Banner ads across different digital media channels, coupled with guides and E-books, provide brand stickiness with authoritative content and data collection from interested parties. Traditional B-to-B sales and marketing is based on a linear approach of selling to accounts. This approach loses sight of the importance of trigger events, internally or externally driven, that kick starts the decision journey in the first place. At first the prospective buyer may either be unaware or unconcerned, but then something happens (the trigger event) to raise their awareness of an issue they need to deal with – and the online search for a solution gets underway. The connected customer’s decision journey is circular with four potential areas where marketers can win or lose: initial consideration, active evaluation, closure through purchase, and post-purchase. During each of these phases manufacturers can be added or subtracted for consideration. There has been a massive shift in the adoption of mobile devices. Apple’s CEO Tim Cooke summed up the tablet adoption. By 2015 there will be 7.4 billion wireless compatible devices on the market (ABIResearch). This where the connected customer lives and aviation manufacturers should consider investing a minimum of at least 15% of marketing funds to online channels. 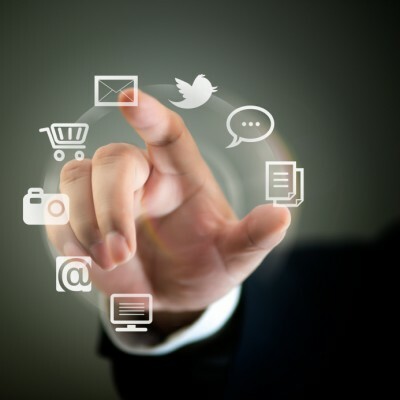 Analytics obtained from social marketing provide a wealth of information about the connected customer’s decision-making process and behavior. This information can drive product development and smarter product marketing. Translation: if you’re not where your customers are, connected to them and tuned into their purchasing behavior, you’re going to lose business and inflict damage on your brand. Sharing your experience with the aviation community opens the door for creating a brand preference. Darron Rowse, founder and editor of ProBlogger Tips, published an article showing new bloggers what they should blog about. While reading the article, I realized a parallel to what aviation marketers should be doing with their online advertising and social marketing efforts. Below is my interpretation of the article as it relates to aviation marketers creating content for their social marketing efforts. People-to-people marketing is about creating a preference for your brand that eclipses feature and function and achieves an emotional connection. A majority of aviation manufacturers are hardware driven – innovation comes from incremental upgrades by engineering. So the question becomes: how can engineering-driven manufacturers make the jump beyond feature and function to creating an emotional connection to their brands? Content drives the emotional connection, and the sweet spot for dialogue is between “what you know” and “what the customer wants to know.” To hit this area, review your expertise as it pertains to specific outcomes of product or service usage. 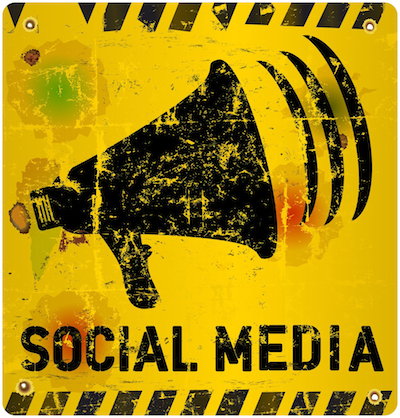 In addition to content, it is essential to implement the correct social marketing engagement tactics. In certain instances, public social platforms act as the lubricant for interaction due to the sheer number of like-minded people congregating in and sharing the same space. However, there are a multitude of private social platforms serving the needs of the aviation community that can be monitored for opportunities to join in the discussion and provide answers to specific questions or issues members have posted. For example, a review of the NBAA maintenance form reveals hundreds of opportunities for OEMs and component and system manufacturers to step up with authoritative information. The sharing of information gleaned from years of experience creates the emotional connection with flight department and maintenance personnel, enabling them to troubleshoot and solve everyday problems associated with different aircraft and avionics systems.